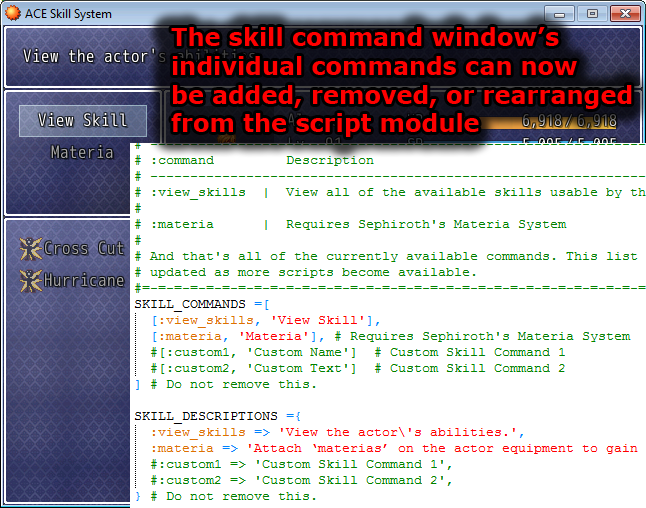 This script does not rework the way skills function. 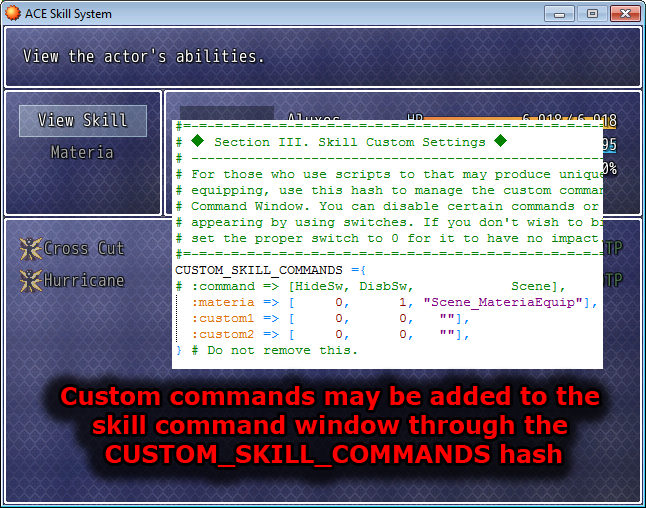 This script only reworks the way the Skill Scene appears and what it can be used for. 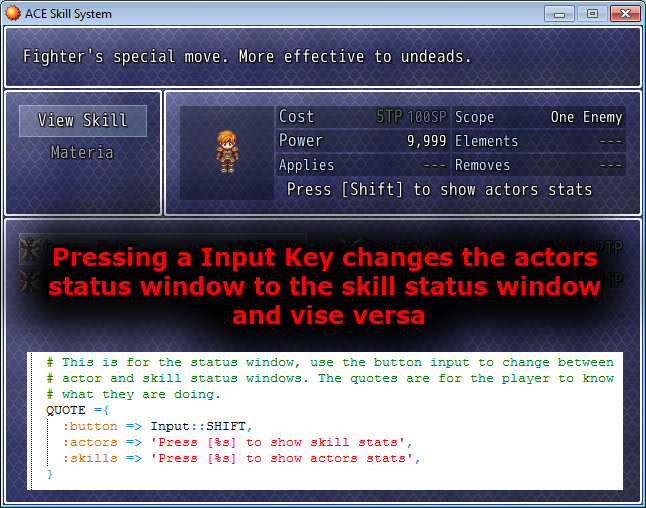 Basically functions as a bridge between many ACE scripts in addition to making all of the skill-related ACE scripts accessible from one common place. 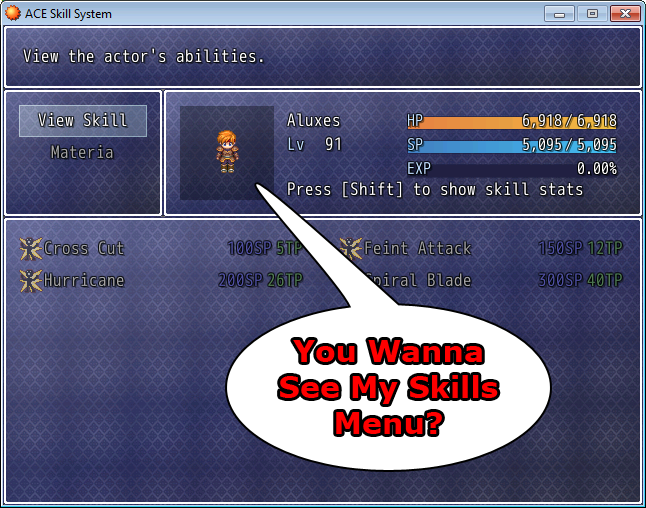 Menu searching and surfing can become quite annoying for the player and this script’s main purpose is to minimize that annoyance.